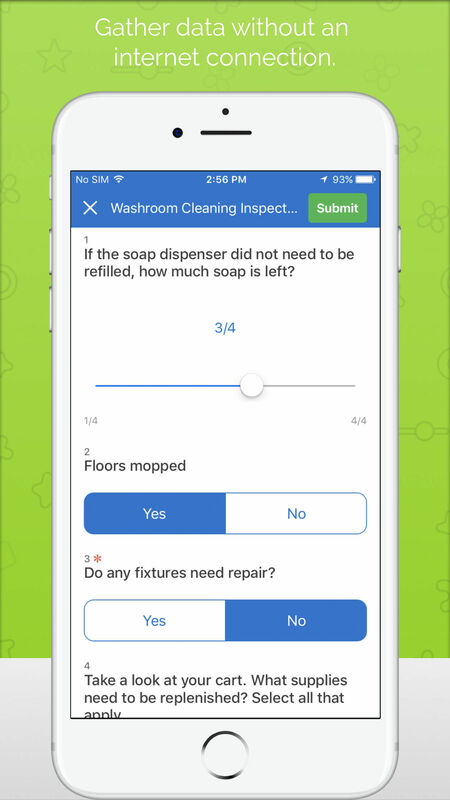 QuickTapSurvey is a flexible survey solution that lets you create, customize and launch surveys and data collection campaigns effectively. 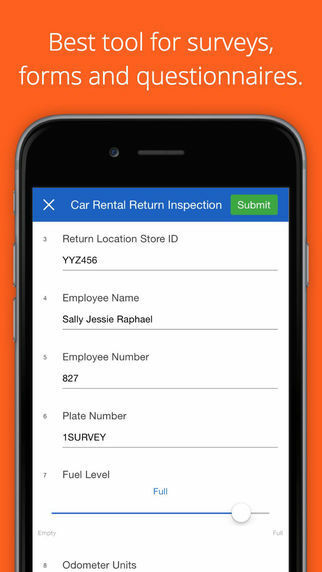 It is best suited for the businesses that depend on tablets and smartphones to collect data in person. It has an intuitive interface that provides full-fledged data coverage, that too without any internet connection. 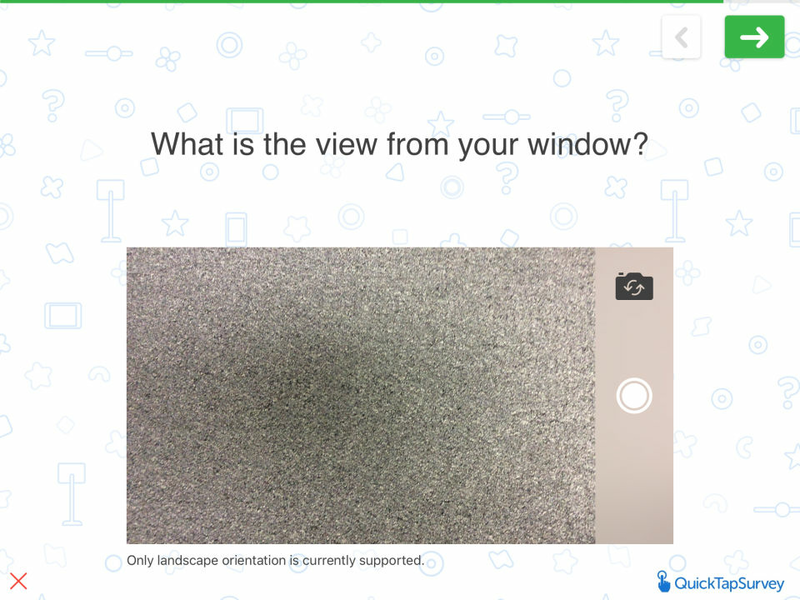 Moreover, you can easily design surveys on your own and collect every type of data from anywhere. Its real-time reports provide valuable insights based on which you can make essential business decisions. 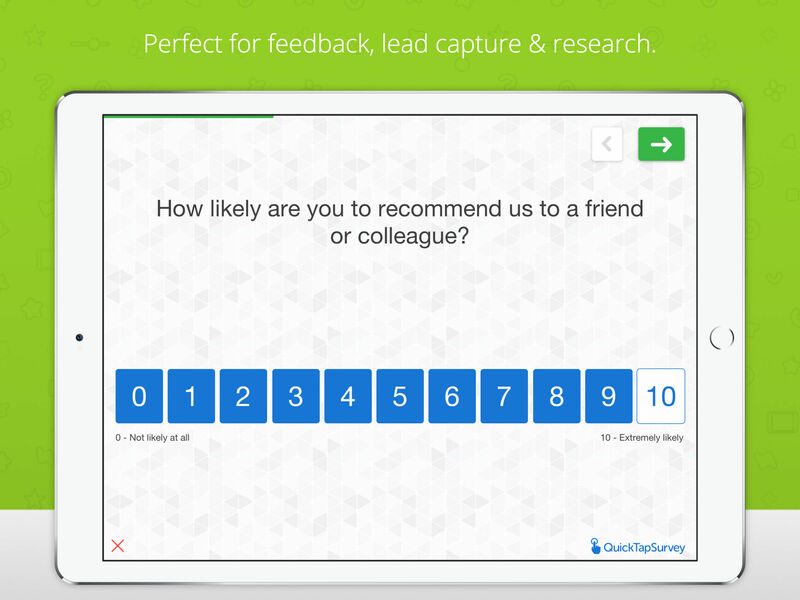 QuickTapSurvey can be really helpful for trade shows, market research, customer feedback, intercept marketing and in-person lead capture. 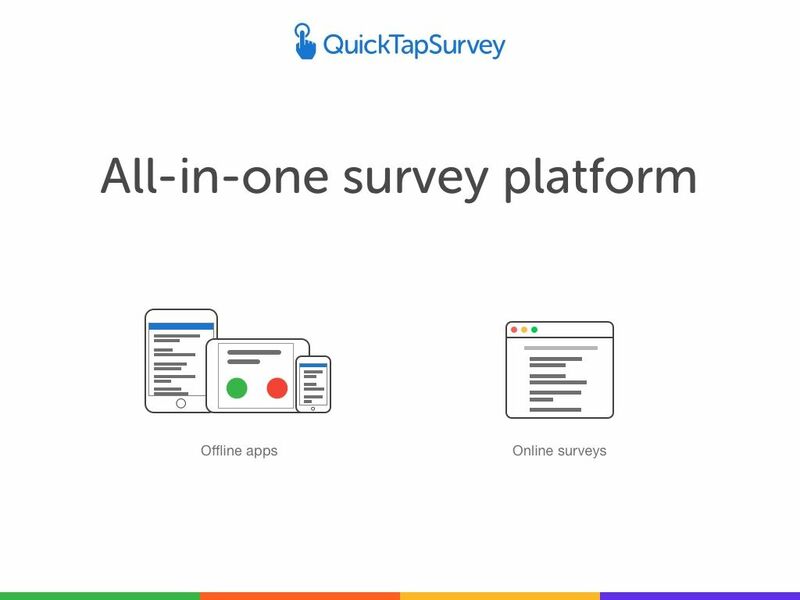 How much does QuickTapSurvey cost ? 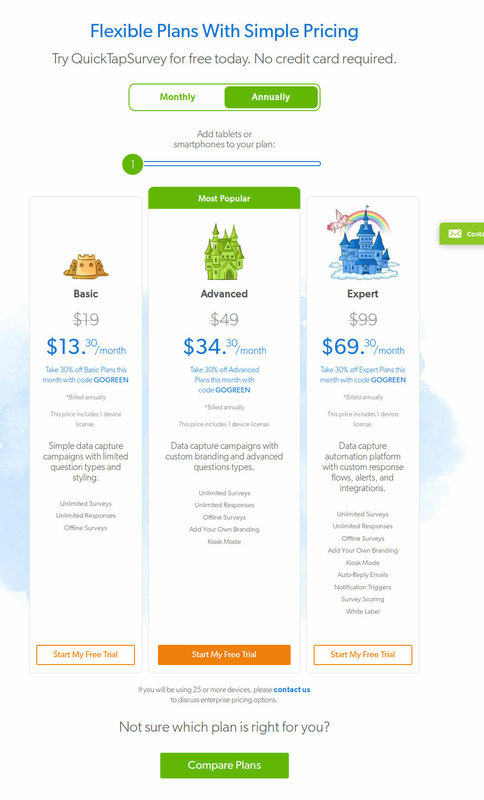 The pricing for QuickTapSurvey starts at $13.3 per month. QuickTapSurvey has 3 different plans such as - Basic at $13.3 per month, Advanced at $34.3 per month and Expert at $69.3 per month. QuickTapSurvey also offers a custom plan based on the customer's request. 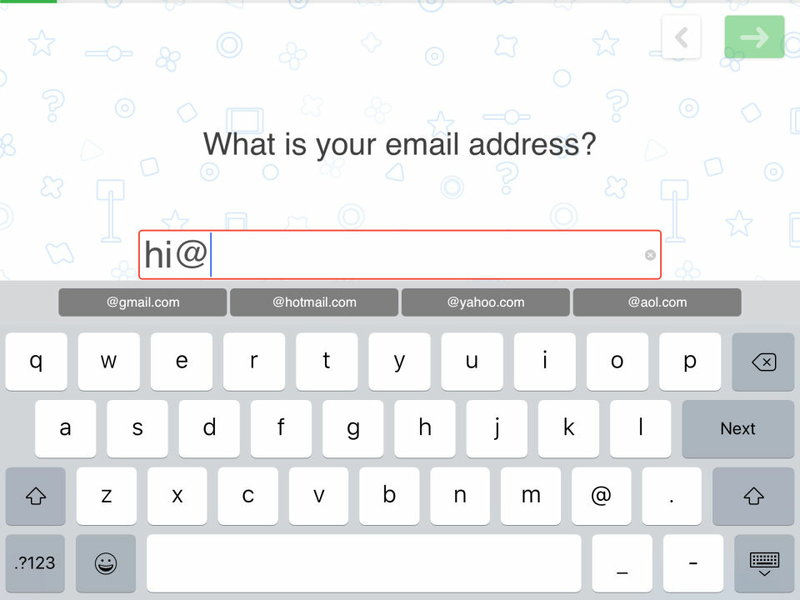 Simple data capture campaigns with limited question types and styling. Based upon the Number of Devices the Monthly and Annual Pricing Plans Differs.Please Contact the Organzation for the Pricing Details. 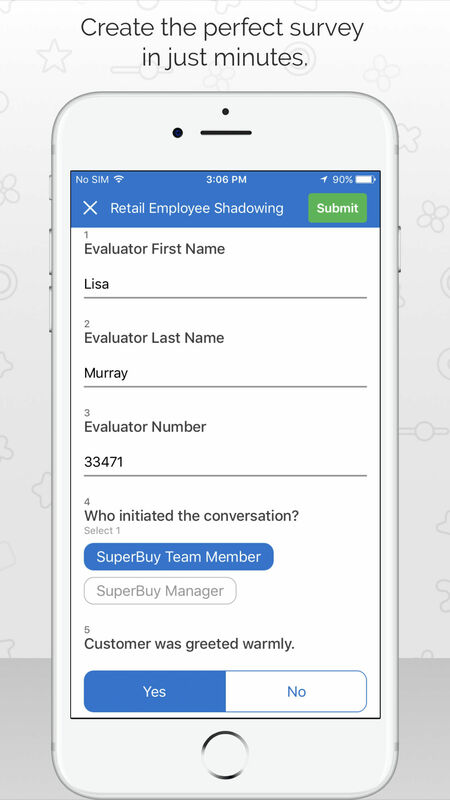 Data capture campaigns with custom branding and advanced questions types. Data capture automation platform with custom response flows, alerts, and integrations. If you have selected 25 or More devices. Please contact the Organization to discuss enterprise pricing options. Pros: Setting up surveys is very intuitive. Display options are professional. There are many different question options (multi-select, drop down, short answer, etc.). Reporting is good and shows the most critical information. 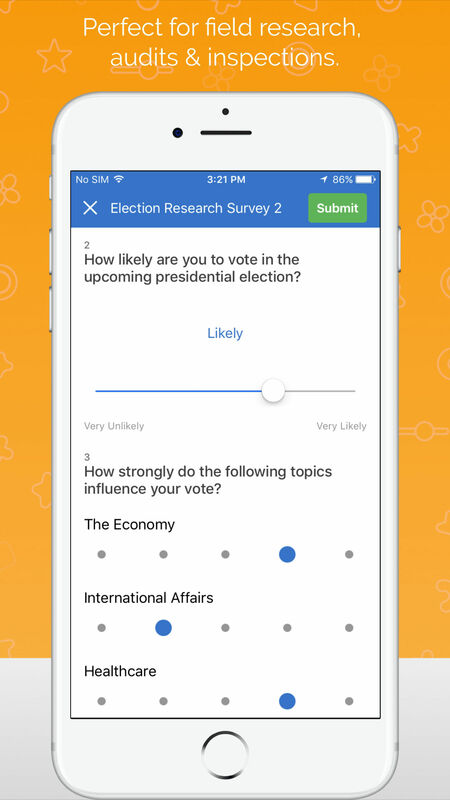 Cons: Reporting could be better by allowing you to sort specific results/questions. Customer service was abysmal. I attempted to reach out to sales by phone, email, and otherwise for weeks without luck. I finally submitted a ticket to their tech support which got forwarded to sales and they called me back. It should not be so hard to give someone money. Pros: Easy and intuitive to use. Very user friendly to set up and get a survey system in place. 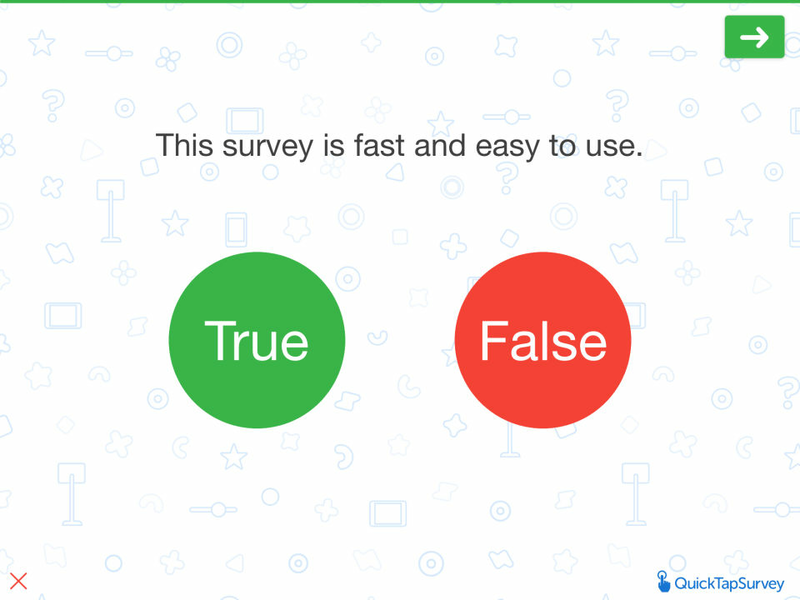 Variance of question types available so that you may customize your survey as you see fit. Cons: No way to upgrade your account online. Must rely on a sales staff that two weeks after emailing, calling, and filling out their online form, still hasn't reached back out. Overall: Great functionality! Terrible service! Pros: Offline capability for data capture is fantastic. 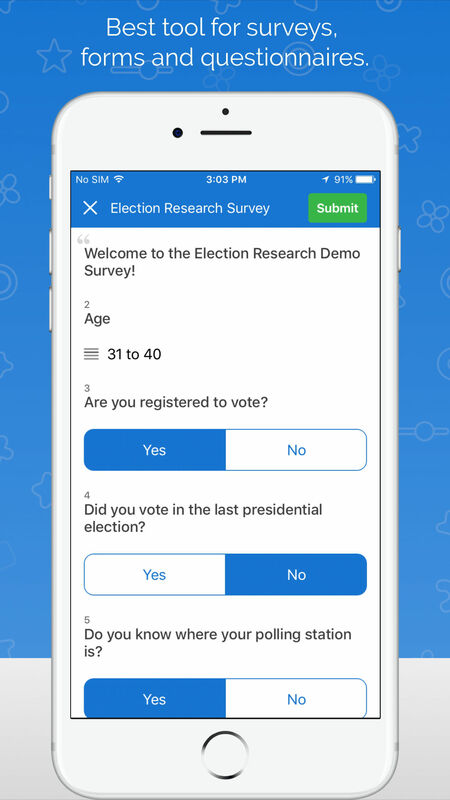 easy to use, easy to understand, easy to set up surveys. very user friendly. Cons: reporting... not robust at all. simple and clean, but no way to manipulate the input and track trends. You have to download the raw data then either manually do it, or put it in to something like Power BI to analyze the data any deeper. language support - would be great to have ONE survey be able to be translated to various languages, instead of having to create each survey into several different languages making aggregate data analysis very cumbersome. Overall: Really great, but wich there was an integration to PowerBI or some other analysis software for reporting. Other than that, its a superb software. 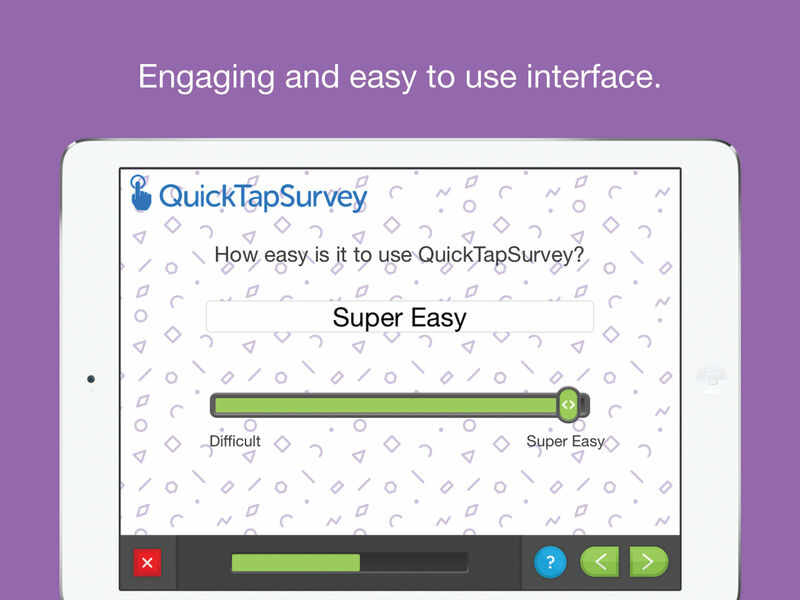 I used QuickTap in the past to gather public environmental survey data for one of my undergraduate projects. I found the software incredibly easy to use - my survey was super easy to set up, and everything was very customizable. There was one function I needed that was not available at the time, and after a conversation with customer support, they added this function after only a brief amount of time. At the time that I used the software (now over a year ago), some functions were not yet available. However, they are very quick to respond to customer service requests and were able to add the functions I needed in no time, so this was never an issue. Pros: It covers all my needs, it's easy to setup and in case you need help they offer an outstanding customer support that helps you immediately. They even call you to discuss your problems on the phone. Great service! Cons: The costs. I am starting my business right now and wished there would be a 'start up ' plan which is bit cheaper. If you have hundreds of users the plan price is good but if you are a start up with only some datas then the plans are kind of expensive. Overall: I use quick tap survey to collect end consumer datas at fairs. 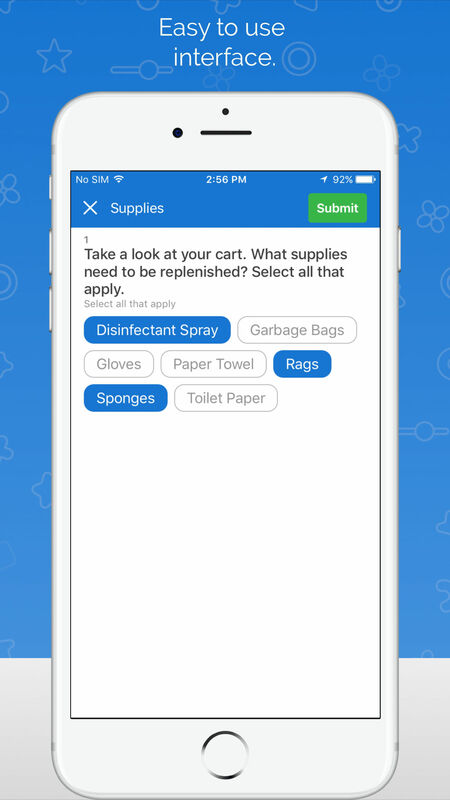 Mainly I am running raffles on the app with one or two raffle questions about my products and customers can win great prizes when joining the raffles. Raffles are running on the website at the same time. Pros: We used this survey software in a museum setting and it was incredibly easy to update questions and create new surveys. The interface was also intuitive and easy for visitors to use. Cons: I do wish it was easier to change the background style. 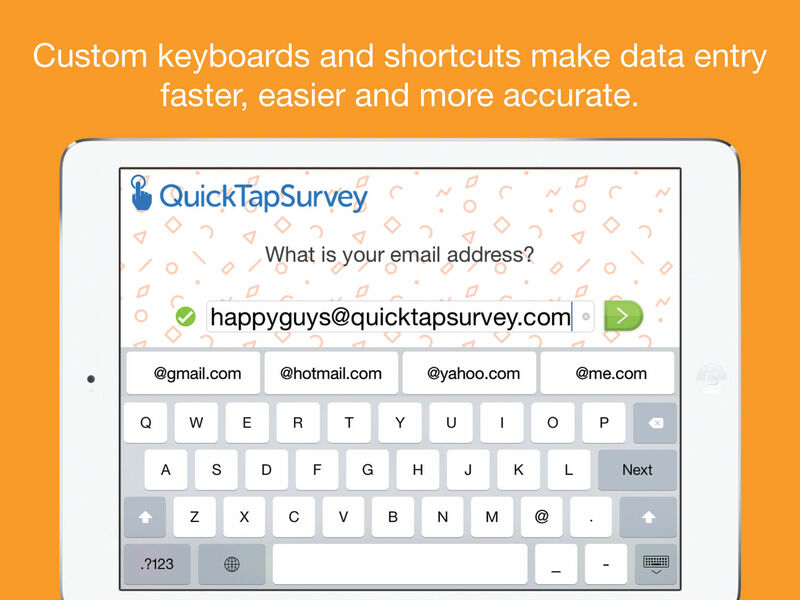 QuickTapSurvey has increased our in person email signups by 50%. Pros: - Runs reliably in Survey Mode, rarely needs to be re set during the day at events. "Set it and forget it"
- Easy to create forms and duplicate existing forms on the fly. 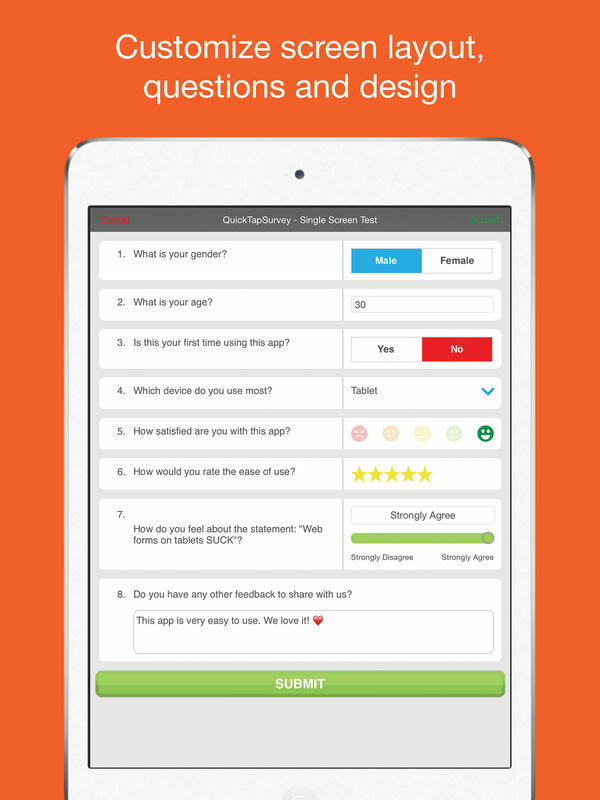 - With proper question type setup, Surveys are easy to complete for participants. - Collecting responses is fast and easy. - Exporting data is intuitive. - Syncing data is fast and easy. Cons: - Additional licenses are quite costly. - Surveys need to be unarchived to access past data. - The Green Arrow to advance to the next question could be larger and more obvious for less tech-savvy folks. 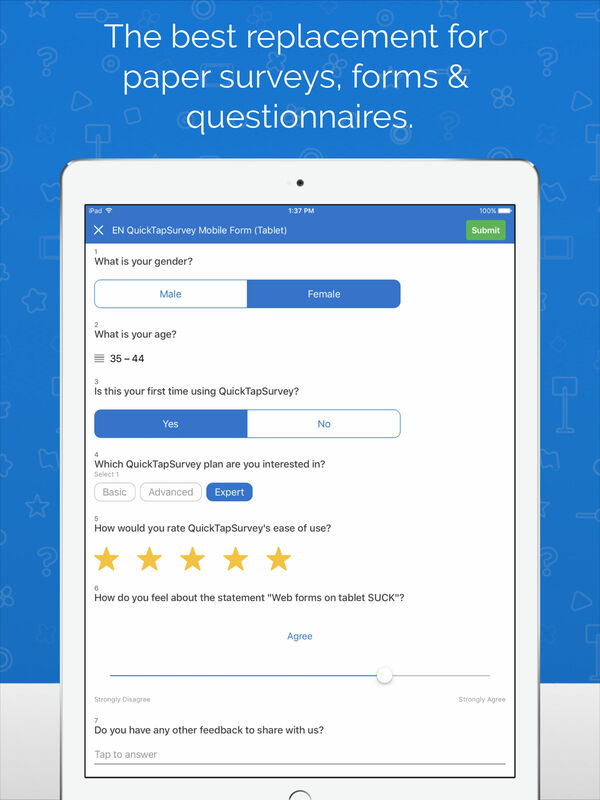 Overall: QuickTapSurvey allowed us to ditch paper surveys and use our iPads reliably to collect data from events. Pros: I like how it will pull your responses and put them into an excel file to easily use and present to everyone. Pros: it's a quick interface to customize surveys and the interface is clean. There is a free trial option. Cons: Our drop off rate was high. Clients could not enter email address information easily so it does not work well as a lead generation tool. Which is the best offline survey software? 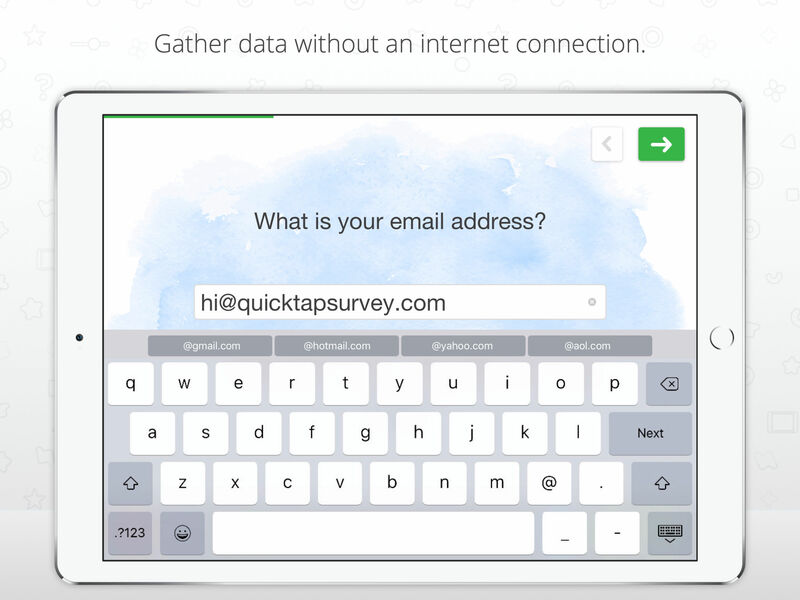 QuickTapSurvey can be best option to collect data offline.